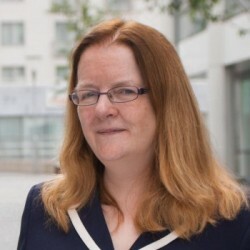 Emer Smyth is a Research Professor and Head of the Social Research Division at the Economic and Social Research Institute (ESRI) in Dublin, Ireland and is adjunct Professor of Sociology at Trinity College, Dublin. She has published extensively on her main research interests of education, school to work transitions, gender and comparative methodology. She has been on the management team of the Growing Up in Ireland study for many years and has recently become joint Principal Investigator (with Prof. Dorothy Watson). Her recent research on GUI data looks at the transition into second-level education, spatial variation in child outcomes, the transition into primary school, and school and neighbourhood influences on behaviour inside and outside school. She has a strong interest in comparative research on education issues, and is currently involved in comparative research drawing on child cohort studies as part of the UK-based Understanding Inequalities project.